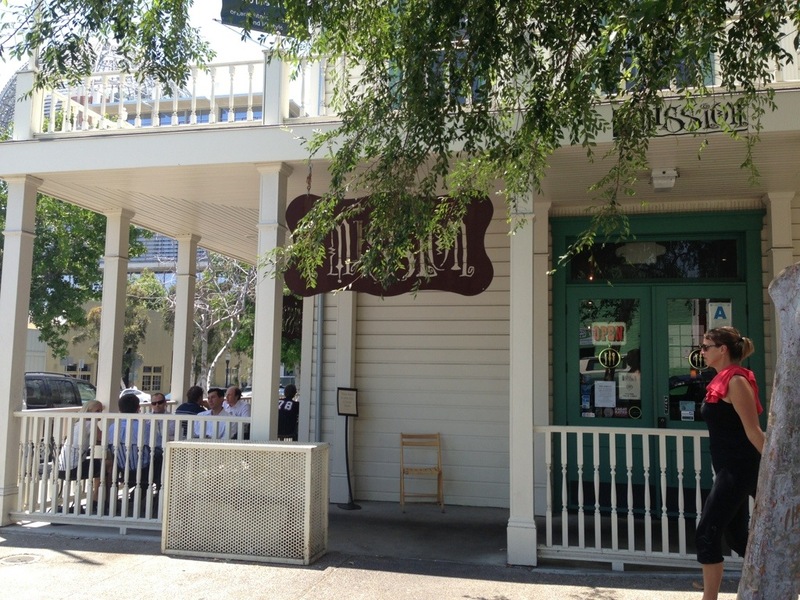 the mission, san diego | gluten-free glory! When I sat down to order (off a separate gluten-free menu), I liked it even better: they had gluten-free rosemary bread for sandwiches! When I asked if they grilled it separately, my server asked, “Do you have celiac? We’ll take care of you” (by wiping down down/clean the grill for the grilled rosemary bread). That’s not 100% ideal for the hypersensitive among us, but so helpful and aware I decided to go for it. The bread was light, airy, and delightfully seasoned with rosemary. The fixin’s were great, too: thick slices of turkey and bacon, tasty avocado, tomato, and baby greens, and just the right amount of mayo. 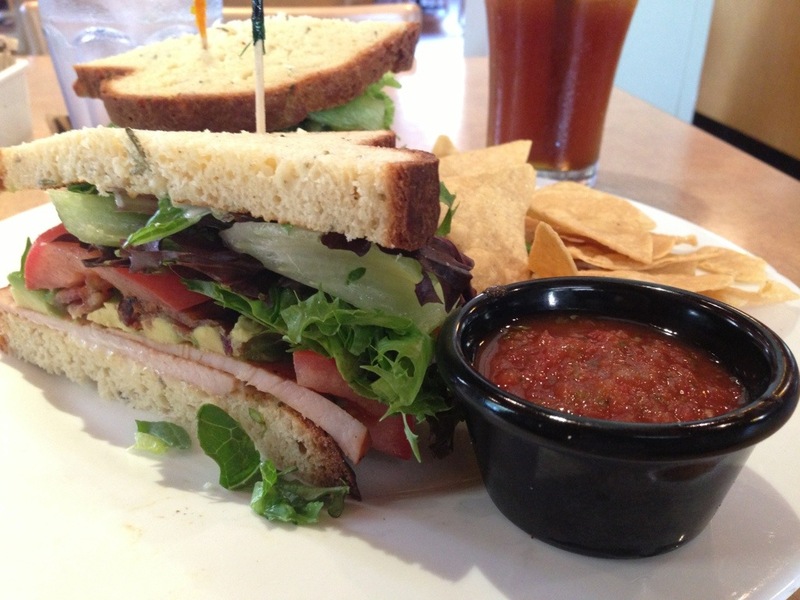 Served with a side of thick, crispy tortilla chips and homemade salsa cruda, this was a fabulous lunch. I’m in San Diego all week – I’ll definitely have to come back here!